After a long day at work, I came home to find a parcel on my seat. I love coming home to mail. I walk in the door and Ray's been to the post office for me. I look for a mark... wondering, it is an eBay or Etsy find? 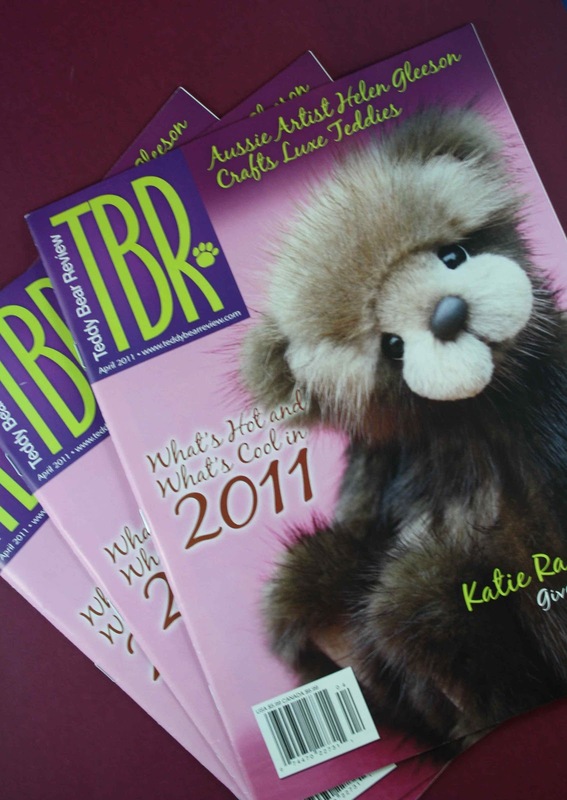 Nope, its Jones Publishing... Teddy Bear Review. I love having a fresh new magazine to read. with my Tiger Lilly posing on the cover. on the cover of such a wonderful magazine.